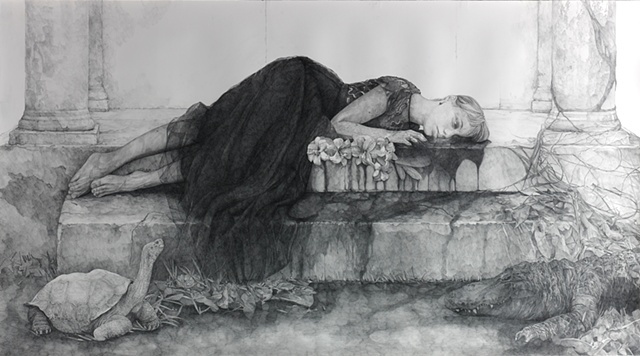 The third in a series of drawings resurrecting the murdered women from Shakespeare's plays. This is Juliet, who awakens alongside the taxidermied creatures described as being in the Alchemist's shop where Romeo obtains poison. Located at the historic Miami City Cemetery.